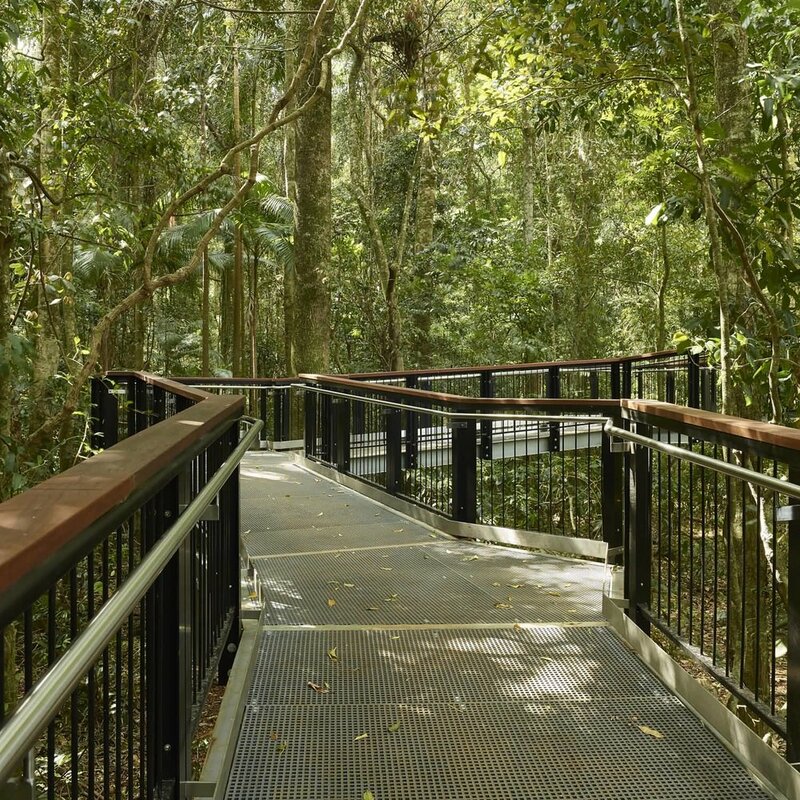 The Mary Cairncross Scenic Reserve is an iconic conservation, recreation, education and tourism asset located in the Sunshine Coast Hinterland that offers exceptional views of the Glass House Mountains. 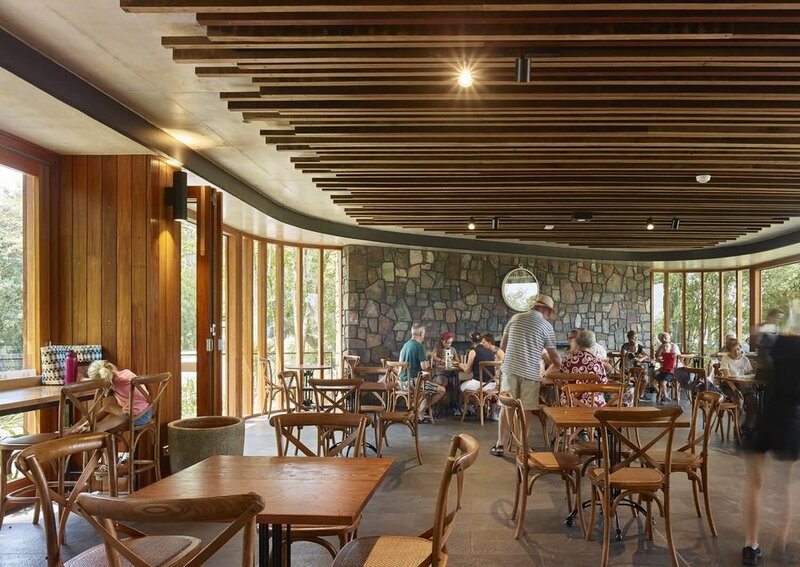 A remnant of the rainforests that once covered the Blackall Range, the Reserve is a living museum of diverse plant life including a complex notophyll vine forest. 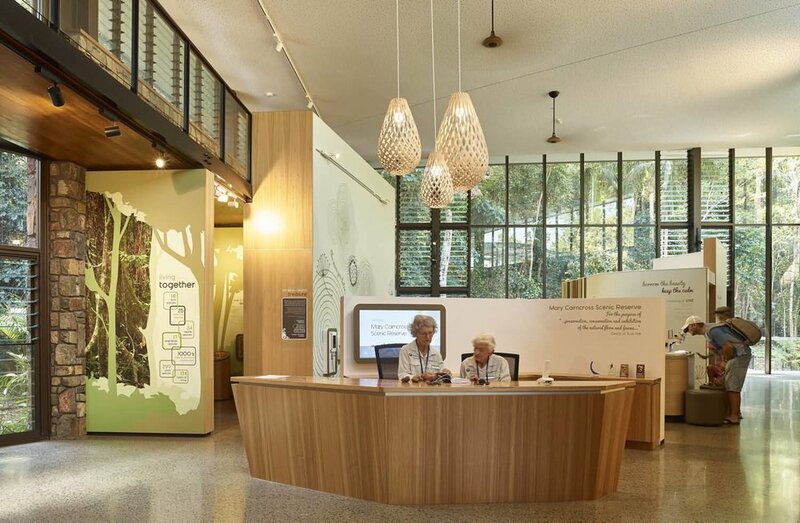 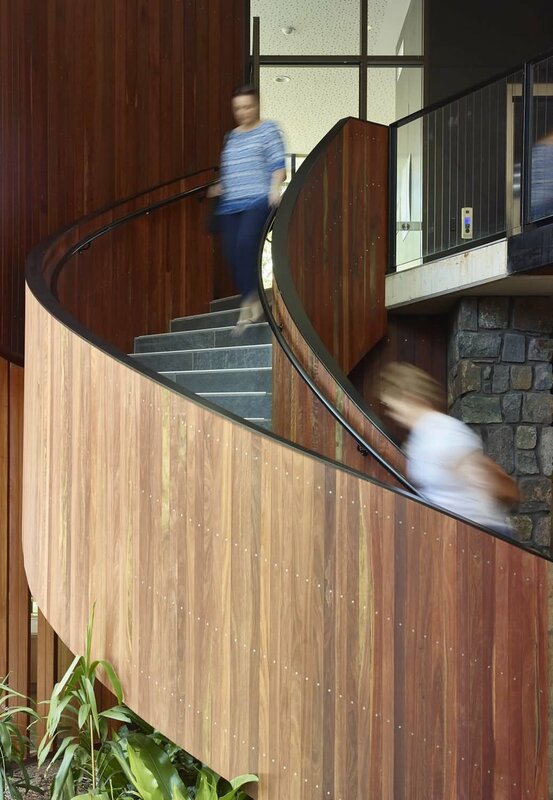 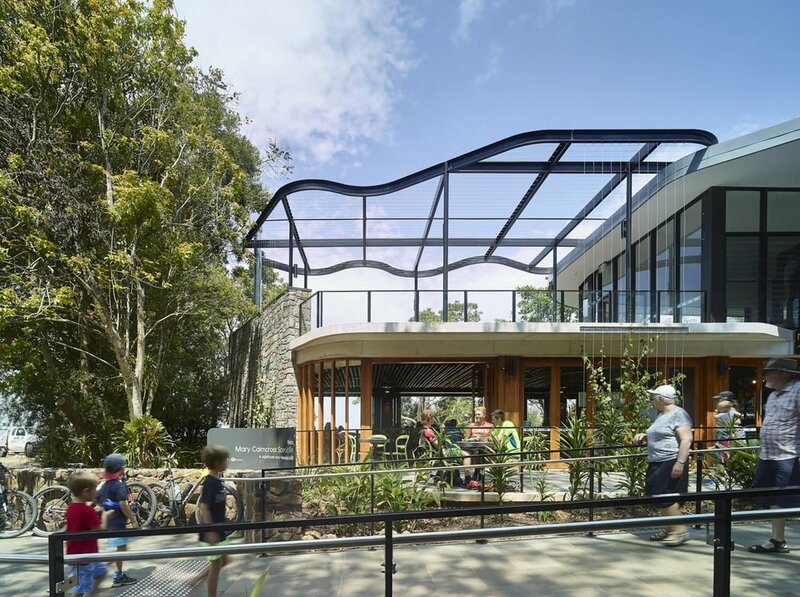 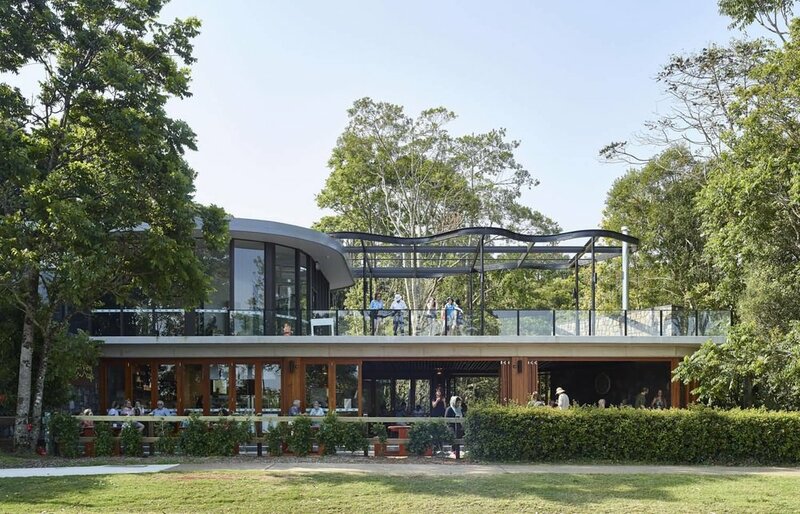 Appointed by the Sunshine Coast Regional Council to upgrade the Reserve's current facilities, Guymer Bailey Architects, in collaboration with Guymer Bailey Landscape, local architect Norman Richards, and interpretative consultants, designed the Discovery Centre and Café to strengthen the role the Reserve plays in the conservation and display of local flora and fauna. 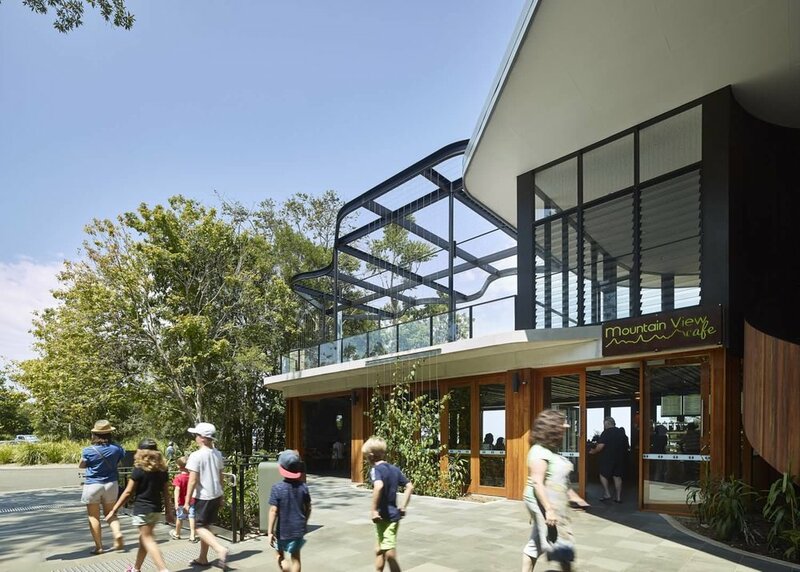 A long timber boardwalk loops around the building allowing scenic access for visitors and learning opportunities through the informative signage featured along the way. 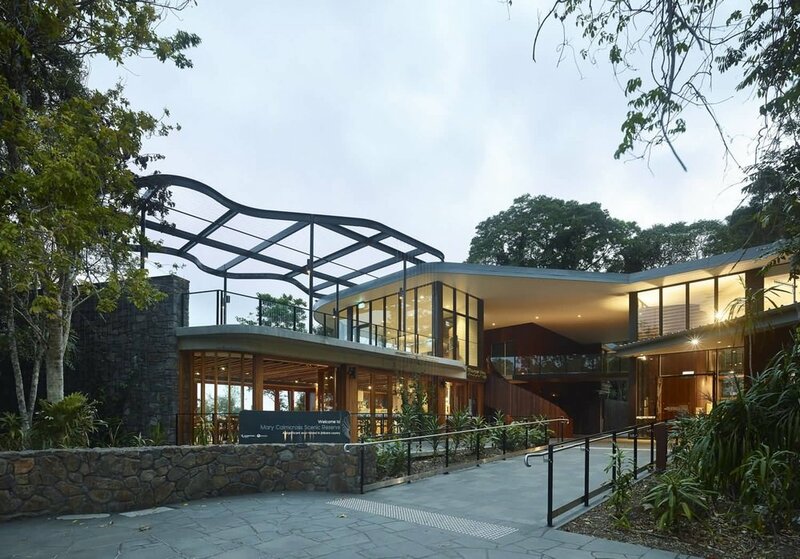 The Discovery Centre contains innovative rainforest interpretative displays and has two frontages to provide spectactular views of both the Glass House Mountains and the rainforest reserve.